The organisational structure of BNP’s Dhaka city units has become weaker as no full-fledged committee has been formed in its Dhaka south and north city units though a year has elapsed since the announcement of the partial committees. BNP insiders said the party leaders and activists are unhappy with the top leaders for the delay in declaring the full-fledged committees. Party men are also losing their interest in carrying out regular organisational activities and political programmes, they said. Some leaders of the city units of BNP told the daily sun that declaration of the full-fledged committees is stuck due to internal conflict among the top leaders. Meanwhile, a number of top leaders of Dhaka south and Dhaka north units are either on the run or staying abroad for a long in the face of cases filed against them. BNP activists said the absence of many senior leaders is also delaying the declaration of full-fledged committees. A senior BNP leader wishing not to be named said they are not declaring the full-fledged committees for Dhaka north and Dhaka south units in fear of outburst of the aggrieved leaders and activists ahead of the next national polls. 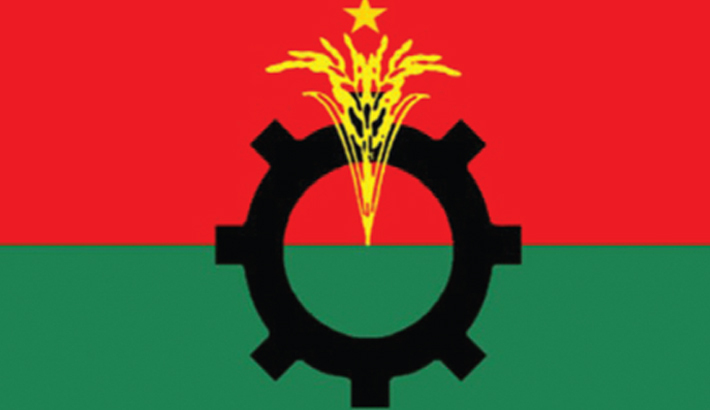 However, several leaders of Dhaka city units of BNP said if the party doesn’t declare the full-fledged committees of the Dhaka city units immediately, the next course of action in anti-government movement, organisational activities and next general election will be badly affected by a fragile organisational structure. BNP sources said before landing in jail, BNP Chairperson Khaleda Zia asked the top leaders several times to complete the formation of the full-fledged committees of Dhaka south, north and different thana and ward units. But her directive is yet to be implemented. The current partial committees of Dhaka north and Dhaka south units of BNP were announced on April 18 last year through a press release signed by BNP senior joint secretary general Ruhul Kabir Rizvi. A number of leaders and activists of BNP Dhaka city units were not satisfied with the newly-announced committees, arguing that the committees were formed with many inactive leaders who are into hiding to escape arrest. M Abdul Qayyum and Ahsan Ullah Hasan were made the president and general secretary of the 66-member committee of Dhaka north unit while Habib-un-Nabi Khan Sohel and Kazi Abul Bashar were made the president and general secretary of the 70-member Dhaka south unit of BNP respectively. The partial committees were asked to complete the full-fledged committees in a month. Talking to the daily sun, a number of leaders and activists of Dhaka north and Dhaka south BNP said they cannot communicate with top leaders of the city units BNP over the phone and cannot meet them at their residences most of the time. Dhaka north city BNP president has been staying Malaysia for long while Dhaka south city BNP president Habib-un-Nabi Khan Sohel is on the run to escape arrest, they added. BNP sources said the organisational activities came to a halt in both units of Dhaka cities while the party also cannot hold any large programme due to poor response from the grassroots leaders and activists of the city units. The tenure of the committees of 24 thana units of Dhaka south and 25 thana units of Dhaka north have expired long ago but no new committee has been declared there, BNP activists said. “It is not possible to forge an effective movement against the Awami League government with the current organisational structure of the Dhaka south and Dhaka north city units. The grassroots leaders and activists across the country have been asking the central body to strengthen the Dhaka city units and ensure their presence in the field,” said a central leader of BNP. The outgoing unified Dhaka city unit convening committee was made with Mirza Abbas as the convener and Habib-un-Nabi Khan Sohel as member secretary in July 2014. The party announced the new partial committees in an effort to accommodate as many leaders as possible to avoid conflict, party insiders said. Talking to the daily sun, a number of leaders of BNP central unit and Dhaka city units alleged that the new committees have been formed with aged leaders who failed to take to the streets during the previous phases of anti-government movement though they have been prolonging their supremacy.